Temperance Lodges were formed to promote abstinence and membership required an oath of total abstinence from alcohol. Most meetings included Temperance lectures and singing of hymns, followed by a "tea party". Among these Lodges were the Independent Order of Good Templars and The Independent Order of Rechabites, which had Lodges in Weston, Maitland and Newcastle. 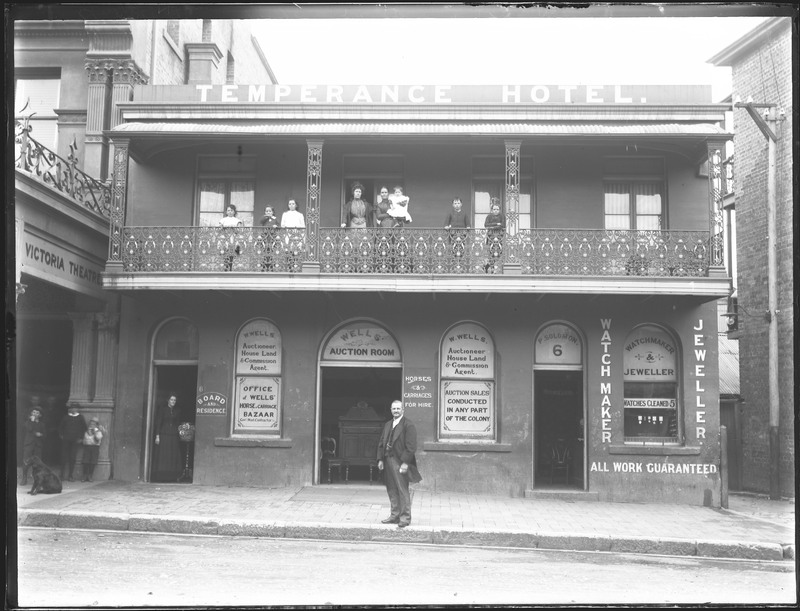 Temperance Lodges began in 1851 in New York and the movement arrived in Australia in 1872. In 1878 a public celebration of the birthday of the Prince of Wales was held in Newcastle, representatives from thirteen Sydney Lodges of the Independent Order of Good Templars joined the festivities (James 103-4). 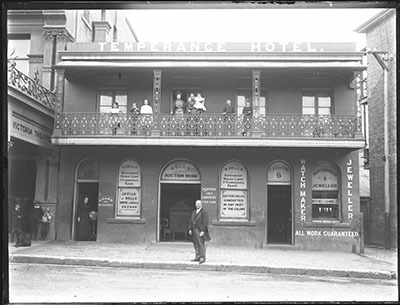 In 1880 the Temperance Lodges pushed for the Licensing Suspensory Bill which prohibited the granting of Licenses in Sydney and the County of Cumberland for twelve months. In the great Tug of War. Help Britain by Abstaining from Drink (Vale). There were also many Sons of Temperance and Daughters of Temperance divisions in the Hunter Valley. 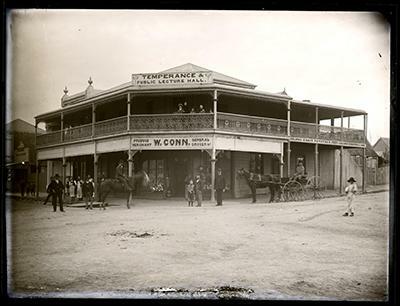 W Wells residence and Temperance Hotel, Perkins Street, Newcastle, 1892-1893. Ralph Snowball. Norm Barney Collection, Cultural Collections. Cantrell, Carol. David, Caroline Martha (Cara) (1856-1951). Australian Dictionary of Biography. Web. 27 May 2013. James, Bob. They call each other brother. James, Secret Societies and the Strange Slow Death of Mateship in Australia 1788-2010. Tighes Hill, NSW: B. James, 2010. Print. Vale, John. Australian Prohibition Yearbook 1917, Wiser through War. Australian Alliance Prohibition Council, 1917. Print.